Fun Fact: Valentine’s day was one of our very first “crafternoons” together as friends! Brand new babies in tow, we bonded over heart shapes and baby spit up. We were reminiscing the other day and came across this valentine’s printable we created together on one of those dates. Want to make your own!? 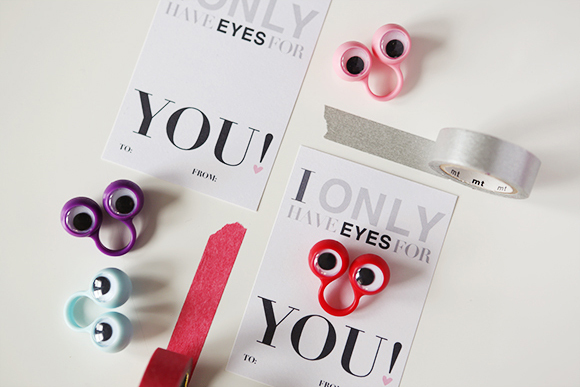 All you need are googly eye rings (we’ve seen them at michaels and the dollar store! ), washi tape, and this FREE printable for a super easy, super cute set of valentine’s cards.